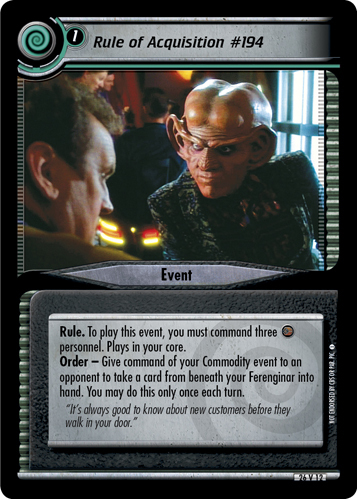 To play this event, you must command Ferenginar. Draw three cards, then reveal your hand. 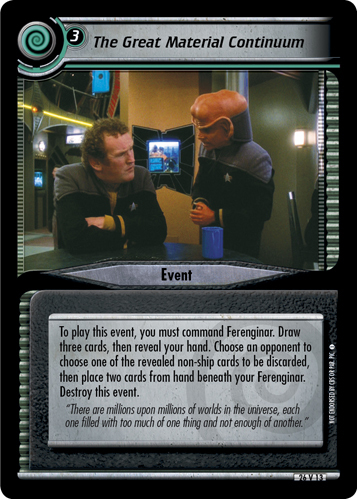 Choose an opponent to choose one of the revealed non-ship cards to be discarded, then place two cards from hand beneath your Ferenginar. Destroy this event. "There are millions upon millions of worlds in the universe, each one filled with too much of one thing and not enough of another." 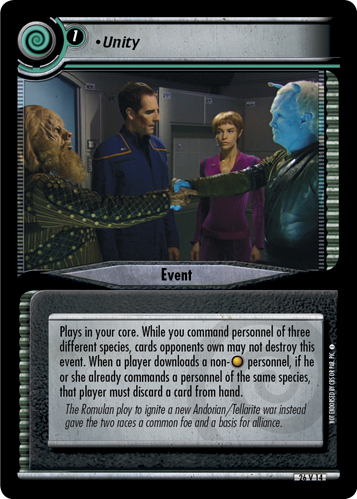 Image Source: Deep Space Nine: "Treachery, Faith, and the Great River"